Hi crafty friends! 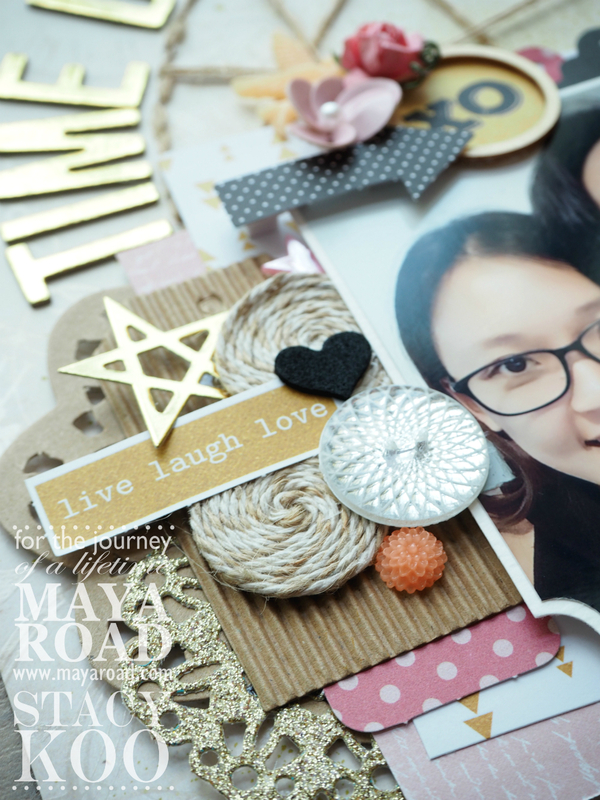 It's my turn on the Maya Road DT Blog today sharing a LO which I totally love the outcome! Circles and sewing are my kind of thing. 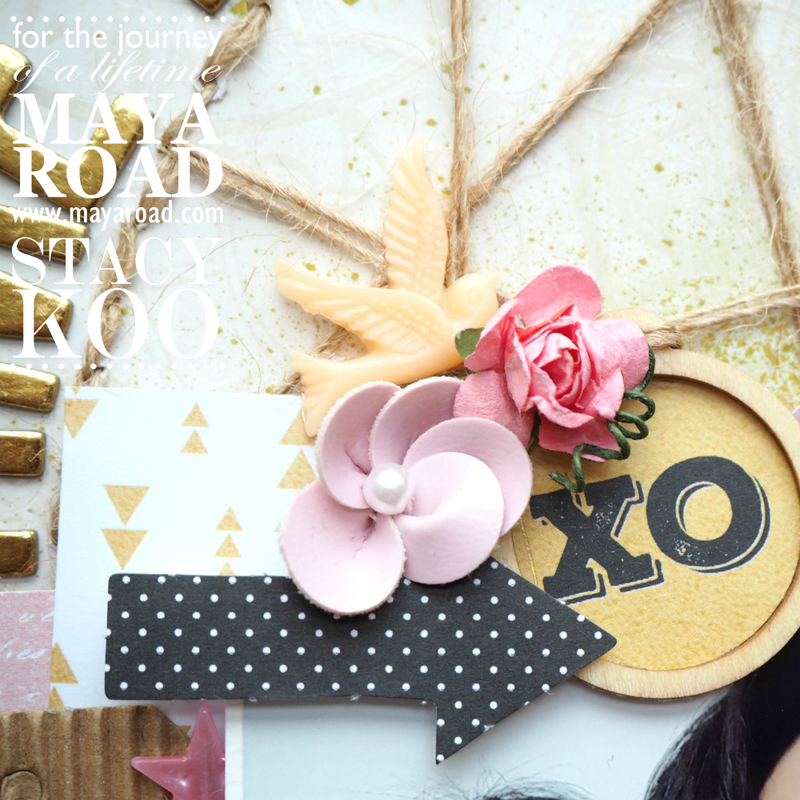 I love to use them on layouts and I enjoy fitting elements which enhances the overall. 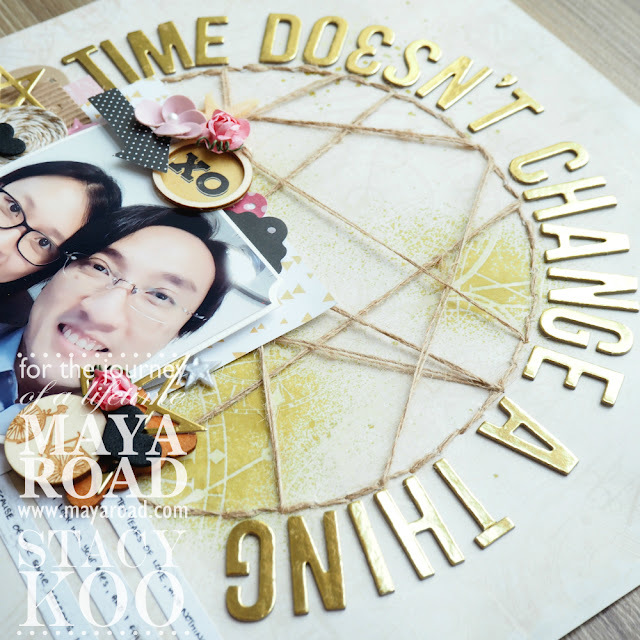 I created this layout inspired by the circular elements which were sitting on my desk, and it is a very enjoyable process to see how they turned out on the layout! It is easy to be inspired by MR elements! I usually spread my elements across the desk while planning for the next project. This helps me to streamline the elements to use, and gives me a theme for crafting. There are just too many beautiful and useful MR elements to pamper me all the time! I started with the circular sewing pattern on the background on the layout. The circular pattern was drawn by a dining plate, and later pierced holes around the circle to allow me to complete the sewing around the parameters. Then, I randomly sew through the circle to create the backdrop. MR Crafting Jute Cording is a great companion for me! What I also enjoy most is making my own embellishment. Using MR Jute & Twine Cording, I twirled it around a circular punch out, and a simple yet beautiful embellishment is created! I like to make it in a few sizes to layer them in the layout or project! Dies are also another helpful tool! 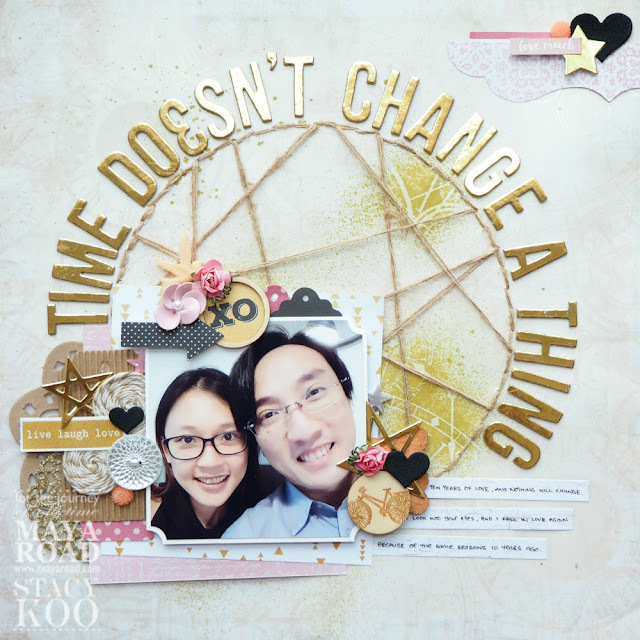 Here, I have made use of the Geometric Star Dies and Fanciful Love in this layout. You can use the dies on foam sheets as well! These dies cut through foam very well, and foam provides a good thickness which in turn highlights the embellishments in a layout as well! Another wood embellishment that I love is the Wood Ribbon Bobbins. 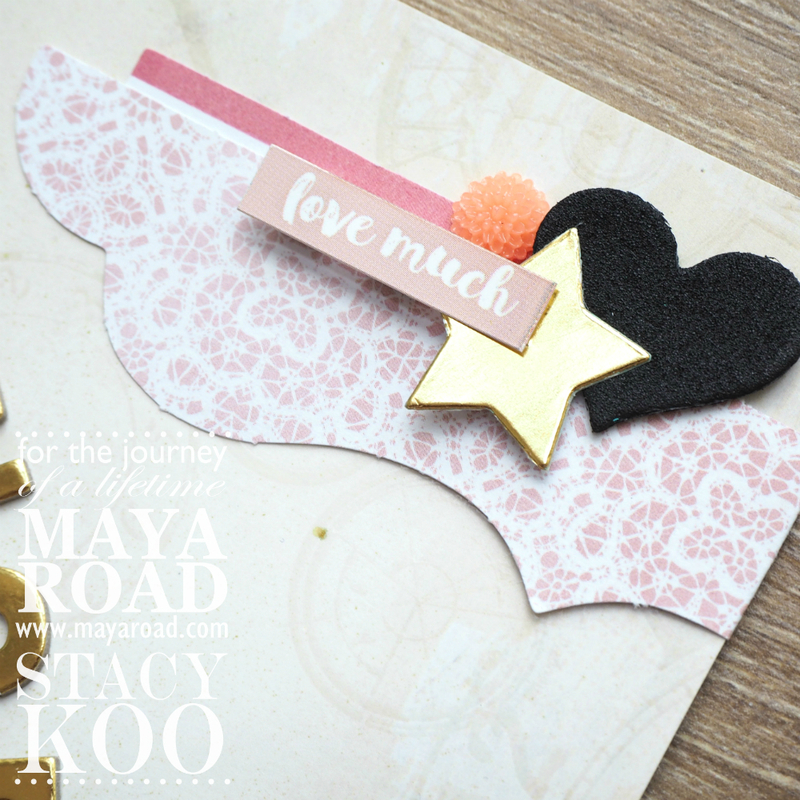 There are many uses of this embellishment, and one of the ways is to use it as a background for layering embellishments. 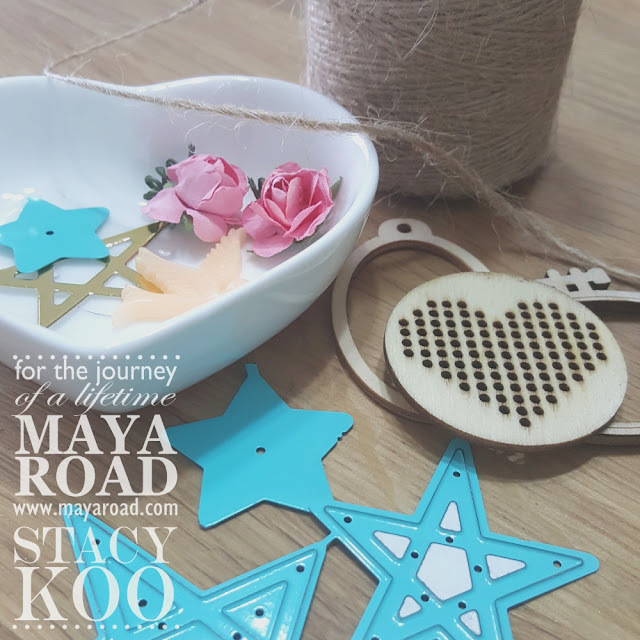 Since it is made of wood, it is also easy to color this embellishment to fit the overall project with just some distress inks! Wood embellishments are my favorite decoration pieces! Especially if they are this pretty! This wood token piece i have used comes from the travel pack. Another wood embellishment that totally steals my heart - Stackable Wood Frame Charms. 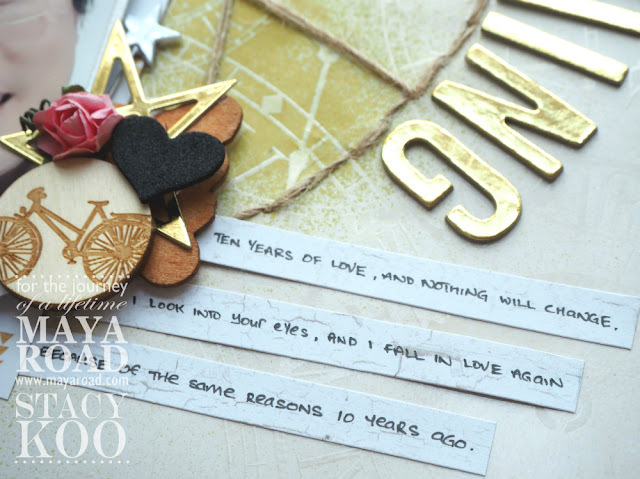 There are so many uses for this embellishment and I love being able to place a sentiment within this charm! Last but not least, to finish up the look of the entire layout, I added some more die-cuts! Here, I have used the Fanciful Wish and Fanciful Love! In addition, I have also added the Resin Mini Mums - Coral on this layout. 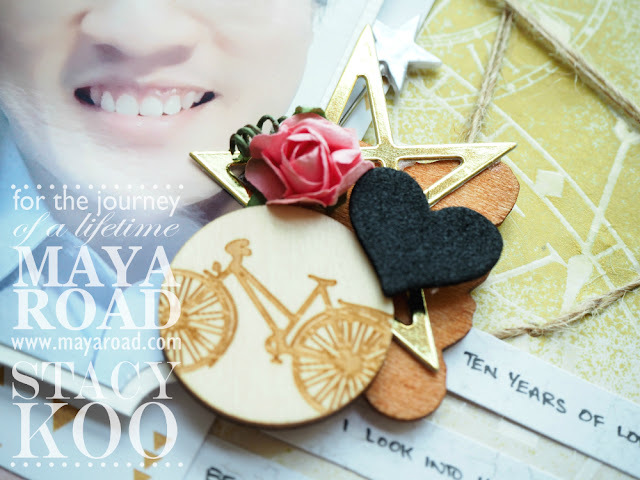 For those residing in Singapore, Maya Road products are available at Made With Love! :) Hope you like what I shared with you today!